The educational aim of Petroleum Engineering specialty is to cultivate qualified personnel with advanced technology and engineering knowledge. To develop all-round morality, intellectuality and physical fitness, they can adapt to the needs of modern petroleum industrial development. They don’t gain just the basic training on petroleum engineering, but also can be engaged in petroleum engineering design, operation and construction, production and management, scientific development and applied research etc. when they graduate from the university. Graduates should acquire the following knowledge and capabilities. 1. Graduates will have solid foundation on math, physics, chemistry, mechanics and geology etc. They are able to use the basic Chinese to read Chinese books and magazines of their own specialty and have some skills such as listening, speaking, reading, writing and translation etc. 3. 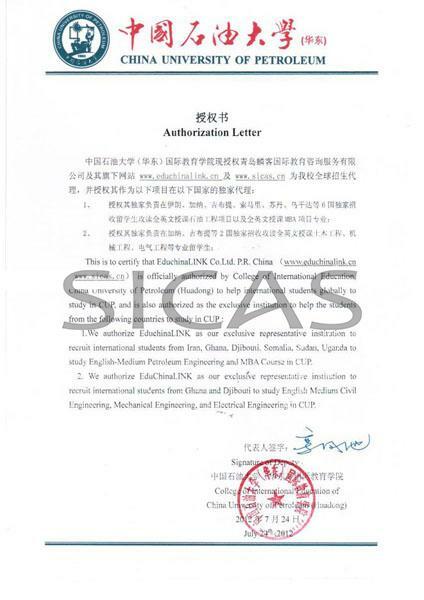 Graduates will have fairly strong experiment test, calculation and expression abilities and master document retrieval and other method to acquire scientific and technological information. 4. Graduates will have a better self-study and work adaptation capability, computer operation and application ability and innovative consciousness. 5. Graduates will have insight and ability to use systematic engineering ideas and modern operational knowledge to go on production and organizational management. 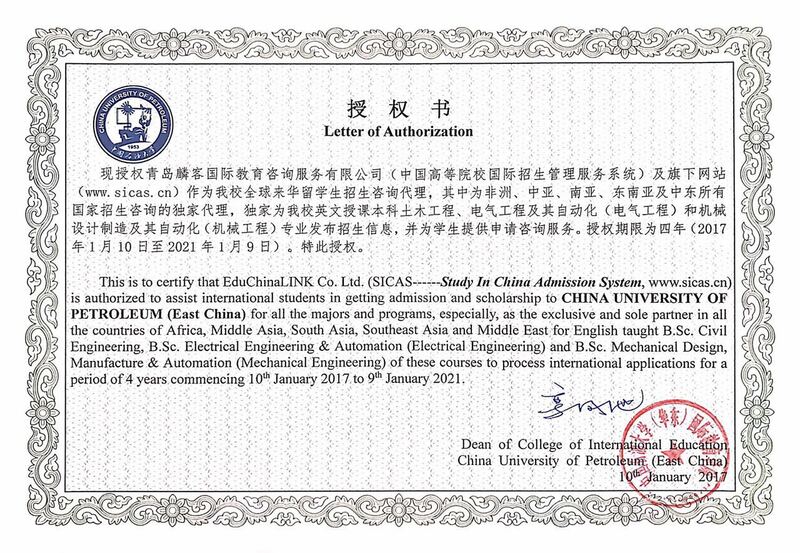 Degree courses: Elementary Chinese (Oral Chinese, Intensive Chinese & Extensive Chinese), A Survey of China, Advanced Math, Physics, Program Design Language, Chemistry, Oil Field Chemistry, Fluid Mechanics, Theory Mechanics, Material Mechanics, Oil Field Development Geology, Well-drilling Engineering, Oil Production Engineering, Reservoir Engineering etc.